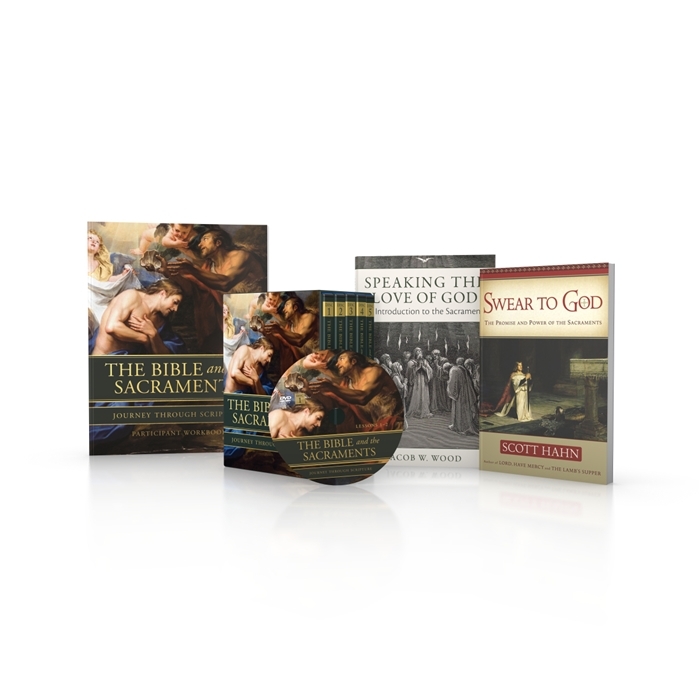 Amplify your experience of The Bible and the Sacraments with the Complete Package for Individuals. Don’t just watch the videos; digest and analyze what you’ve seen with the help of the Participant Workbook and then complete the experience with Dr. Scott Hahn’s book, Swear to God and supplemental readings from Jacob Wood’s Speaking the Love of God. The Complete Package for Individuals not only includes the DVD set, consisting of 11 lessons on 5 DVDs, but also its corresponding Participant Workbook, Dr. Hahn’s Swear to God, and Speaking the Love of God by Jacob Wood. Be the first to review “Complete Package for Individuals | Bible and the Sacraments” Click here to cancel reply.